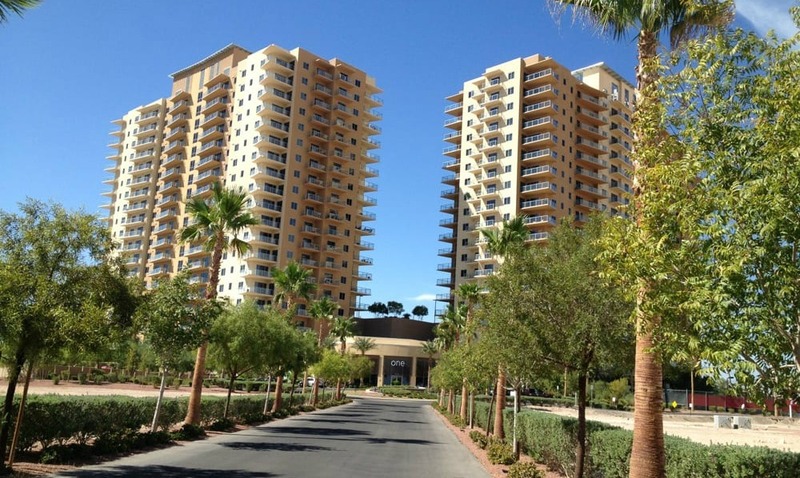 One Las Vegas is the premiere spot for condo living in a fabulous location on the South Strip. Two magnificent 20 story towers joined by an exquisite lobby area offer the area modern beauty. The building opened in 2009 and was constructed by J. E. Dunn Construction. The modern high rise was designed by award-winning architects Kobi Karp. Where is One Las Vegas?